A levee gate near Bayou Sauvage National Wildlife Refuge. 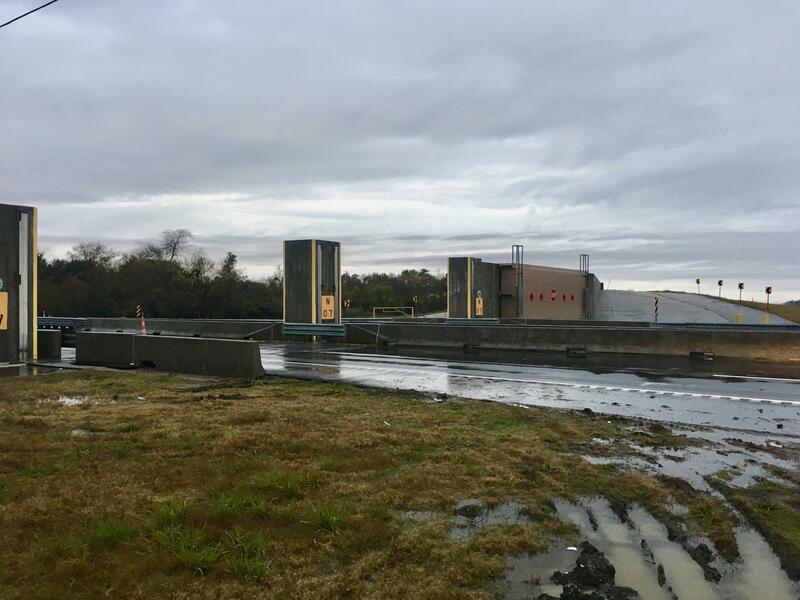 The Army Corps is about to begin a study of the levee system around the greater New Orleans Area. This week on the Coastal News Roundup -- the City of New Orleans joins six other parishes by filing a lawsuit against the oil and gas industry over damage to the coast. Plus -- can levees keep up with subsidence and sea level rise? The Army Corps of Engineers starts a study to find out. WWNO’s Travis Lux talks about this week’s coastal news with environment reporter Mark Schleifstein from Nola.com | The Times-Picayune. The following transcript has been lightly edited. Q: City of New Orleans filed a lawsuit against 11 oil and gas companies, including Entergy New Orleans. The suit has to do with damages to coastal wetlands. Six other coastal parishes have already filed similar lawsuits. The claim is that when oil and gas companies dug canals through the wetlands they caused the land to erode and wash away, and that the canals haven’t been properly maintained. What’s the significance of New Orleans joining these suits? To begin with, the Governor [Edwards] had asked all coastal parishes to file similar sorts of lawsuits. His idea is that if any money comes out of this, or any restoration comes out of this by the companies, it’s another way of getting the companies to participate in the Coastal Master Plan’s efforts to restore things. That’s the key thing. Q: It sounds like it’s about money for restoration essentially. Well, what they’re hoping is that they can get the oil and gas industry to come to the table and say, “Look, we will put our resources into restoring some of these things that we actually caused.” That’s the idea behind it. Q: How has the oil and gas industry responded? Well, two different things. They quickly point out that they’ve given the state millions of dollars in revenue through various taxes and the pumping of oil and gas from the state. And they contend that they are following the regulations and that if the state had wanted to do this the state should have required them to do this much earlier than right now. Q: You reported this week that the Army Corps of Engineers is about to do a study on the levees in the greater New Orleans area. Much of the levee system is pretty new - built after Katrina. Is this routine or is this born out of fear or concern that something is wrong? It’s a little bit of both. In the aftermath of Hurricane Katrina, the Corps has been wanting to do more routine updates about where things stand in terms of the levee system. In the case of New Orleans, the issue is also whether or not the levee system will continue to meet the demands of blocking storm surges that have a one percent chance of happening in a given year - the so-called 100-year storm. The two concerns are subsidence; sinking of the soils under the levees could be moving more quickly, and, probably more likely, sea level rise is occuring at a higher rate that was designed into the levee system in 2011. Q: The levees are supposed to be built to handle a 100-year storm. If they no longer provide that, could that affect flood insurance rates? That’s the key question, here. If the levees are found to be lower than that 100-year level, the flood insurance program could decide - though it’s very unlikely - that New Orleans doesn’t get flood insurance unless the levees are improved. Q: If New Orleans could no longer participate in the flood insurance program, what would that mean for residents? The obvious concern is that people would not be able to get flood insurance who live inside the levee system. And/or the cost of flood insurance would rise dramatically. It’s actually likely that there would still be some insurance available, but it would be much higher. The Coastal News Roundup airs every Friday at 7:45am and 4:44pm.